The ultimate in efficiency and safety. 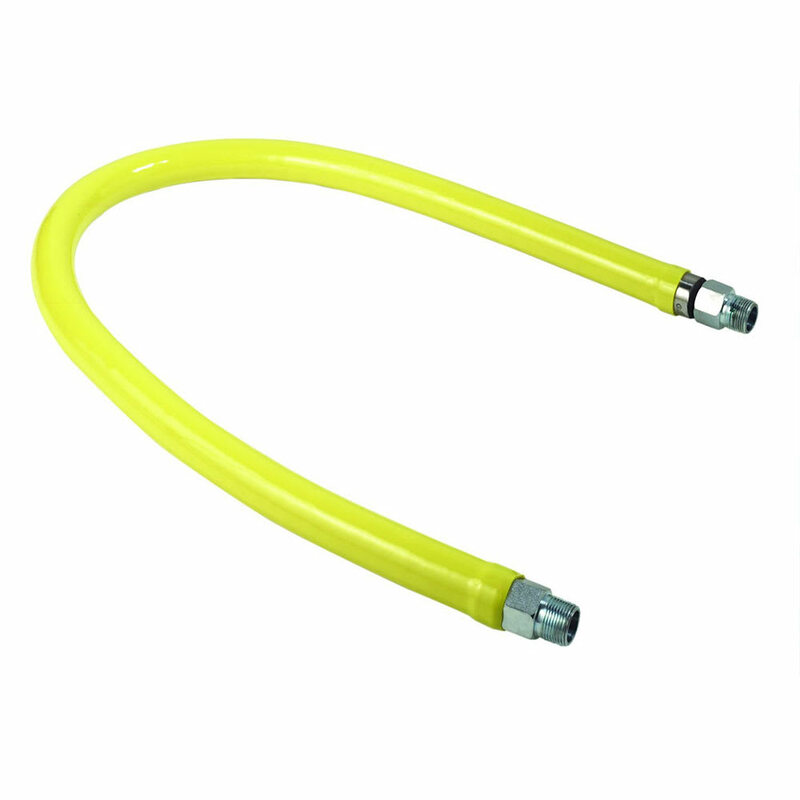 Add an S to the end of the Model number to add Swivelink Fitting to both ends of hose assembly. Add a K to the end of the Model number to add K-Model Installation Kit. Installation Kit includes: ball valve, necessary hardware, with Surelink restraining cable adjustable for 3' to 5'. A gas connector is only as good as its weakest link. Trust our welded fittings to remain gas-tight long after a competitor's crimped assembly begins to loosen. Strong does not have to mean less flexible. Our extruded coating stays out of the braid and keeps a constant wall thickness, providing strength and flexibility. Dipped coatings invade the stainless steel braid and stress the wires while reducing flexibility. Stainless braids protect the thin inner hose from pressure and stress. Trust our tight braid pattern to prevent punctures or dents more than a gapped braid.